Mustard Seed Communities was established in Zimbabwe to assist with the care of children affected by the HIV/AIDS epidemic. Since its inception, MSC Zimbabwe developed a multitude of programs serving children and families throughout Bulawayo, Zimbabwe’s second largest city. MSC Zimbabwe runs three residential care facilities for children with disabilities as well as those orphaned by or infected with HIV/AIDS, providing homes to more than 55 children. Additionally, we maintain four nutrition programs feeding over 500 children a day, three preschools, a training center called Potter’s House, substantial farming programs, a chapel, and a health clinic. Within our mission of caring for the most vulnerable, the goal for MSC Zimbabwe is to look after as many children as possible. In Zimbabwe, the number of children orphaned by HIV/AIDS and the ensuing number of child-headed households are perpetually on the rise. As a result, the need for housing and medical care for these children continues to grow. The Freedom Home, located on the main property in Woodville, cares for twenty-nine children affected by HIV/AIDS. Our aim is to provide them with the opportunity to live their lives under proper care and ensure that they have access to the best possible social, physical, medical, and educational services. Our second home for this population of children, Generosity, is located in the north end of Bulawayo and provides a family setting for children who are living with HIV/AIDS. MSC Zimbabwe continues the work of caring for the most vulnerable at our home called Joel’s Place. 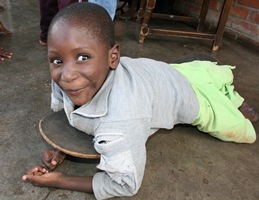 The home is named after one of the first children with disabilities who came to MSC Zimbabwe. Joel arrived to the home at one week old and passed away seven months later. Though he was only with us for a short time, he will always be remembered. Joel's Place provides a home to nearly 40 children, many of whom have physical disabilities. Joel's Place draws further inspiration from Joel 2:21-27 which says "The Lord gives abundantly and fends for those who trust in him." 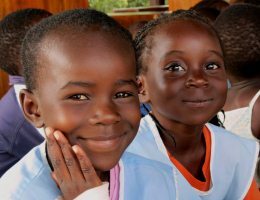 There are two Little Angel's Learning Centers in Zimbabwe, which serve more than 100 children through the provision of basic education and two daily meals. We believe that every child has the right to an education. We offer basic preschool education to children under the age of 5 in order to prepare them for entrance into first grade at formal schools. The children attend morning prayers with the staff and actively participate in singing and spiritual activities. Currently, Little Angels Learning Centers are located at the main property in Woodville, and in Cabatsha alongside the nutrition programs at those locations. 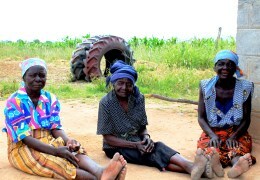 MSC Zimbabwe has nutrition programs in four locations throughout Bulawayo: Pumula, Cabatsha, Woodville, and Ngozi Mine. 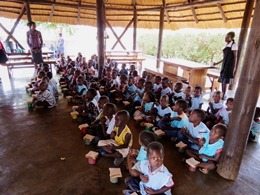 Approximately 500 children receive a wholesome meal each day. The children also participate in games, informal tutoring, and spiritual activities. The nutrition programs and the activities are led by youth that volunteer with MSC Zimbabwe. The children travel on foot and sometimes walk up to 10 kilometers daily to reach the nutrition program sites. Older children are often responsible for bringing younger siblings by the hand or on their backs to eat this daily meal. Three acres of the main property at Woodville are used for farming and poultry rearing. 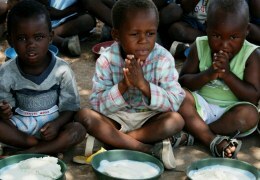 The produce, eggs, maize, vegetables, and chicken supplement the children’s dietary needs. MSC Zimbabwe raises both broiler and layer chicks in average batches of 100 each. The supply of food on site remains steady at an average of 60 loaves of bread and 100 eggs each day. Any surplus goods beyond the needs of our nutrition programs are sold to the local community for income generation. In terms of agriculture, inconsistent rainfall and climate changes have created some difficulty four our gardens. 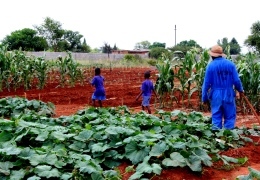 Successful crops in the past have included chomoulia, carrots, onions, cabbage, butternut squash, and maize. Our staff has also had an opportunity to visit one of the neighboring farms to observe and learn from their irrigation methods. In an effort to support local, disadvantaged individuals of all ages and assist them in becoming self-sufficient, MSC Zimbabwe established Potter’s House training center. The program teaches skills such as chicken rearing, vegetable gardening, candle making, baking, and other basic employment training where possible. Potter’s House also offers music, art, and drama programs. MSC Zimbabwe aims at preparing the youth to be the leaders of tomorrow, and so they are encouraged to be involved in every area of the organization’s activities. From administrative work to caregiving, these young people display gentleness, willingness and respect as bearers of the Christian message of Faith in Action.